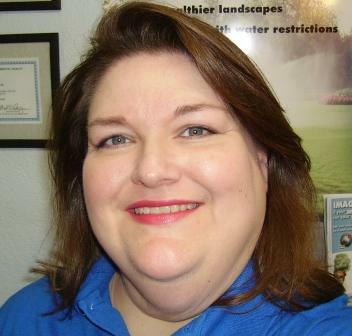 Senior designer, licensed irrigator, and certified backflow tester with over 16 years of professional experience in the irrigation industry. He received his BBA from UNT. Customer service coordinator, and service scheduler with over 7 years of professional experience in the irrigation industry. Certified for Weathermatic SmartLine controllers. Licensed Irrigator and supervisor of all installations and service teams. Raul has over 10 years irrigation experience and is certified in sub-surface irrigation and Weathermatic Smart Line controllers. Account manager, HR, and bookkeeper with over 18 years of professional experience in payroll and accounting. Foreman for sprinkler and landscape installations with over 7 years of professional experience in the irrigation industry. Lawn Care Formean and crew leader with several years of professional landscaping, lawn maintenance, and sprinkler service experience for both commercial and residential customers. Customer service coordinator and service scheduler for Denton Lawn Sprinkler Inc. Lawn Care crew leader with several years of professional lawn maintenance experience for both commercial and residential customers. Licensed service technician with over 8 years of professional experience in the irrigation industry. Lawn Care Formean and crew leader with several years of professional lawn maintenance experience for both commercial and residential customers. He also has 3 years professional experience in the irrigation industry. Customer service manager and coordinator with over 8 years of professional experience in the irrigation industry. Certified for Weathermatic Smart Line controllers. Supervisor of all landscape installations and lawn maintanence teams, Darren has years of experience in design and planting.